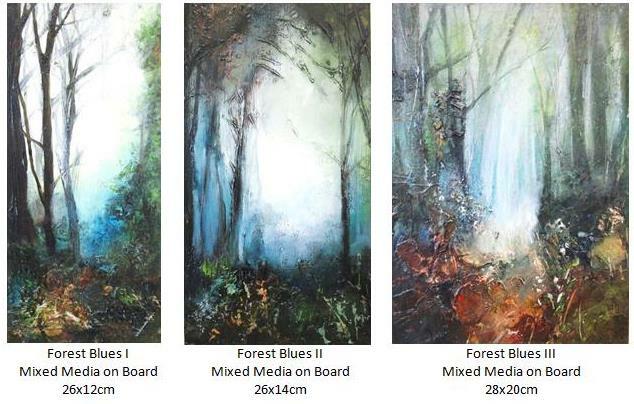 A few of my latest 'forest-works' have recently sold. These always make me think of my friend Roz Cryer whom the world is the poorer for her parting. I first met Roz through our mutual friend Maggie Strachan. 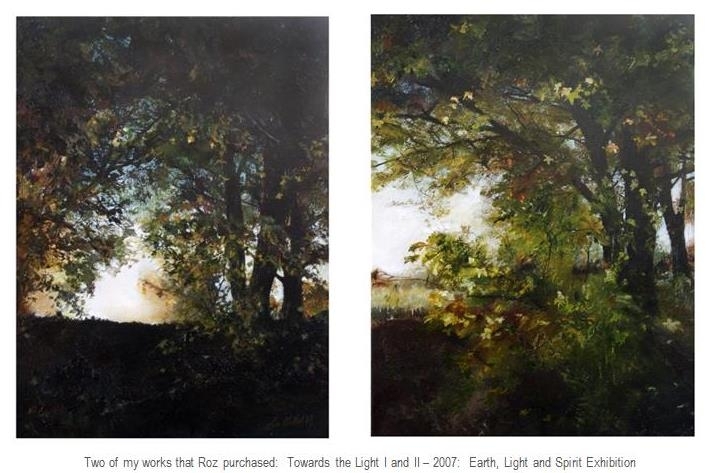 We were all painting forests at the time and opted to exhibit together in an exhibition we titled "Earth, Light and Spirit" in 2007 at artSpace Durban with Karen Bradtke. By chance, I captured what would become an epic photo of Roz in front of her easel, painting a beloved forest from her home in England. 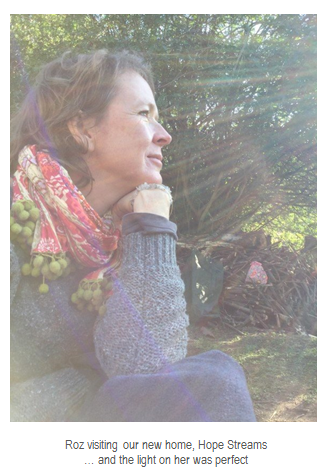 Just before her death, we had been exchanging art-postcards. 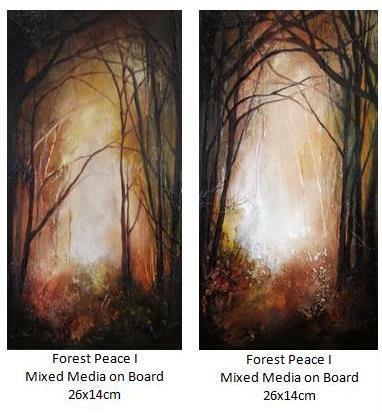 Our last card exchange included images of forests. Her last message to me in the card was "Resisting going into the Forest, but know I must go". She walks now with me in each forest I paint, and I look forward to meeting her again in the Great Big Forest where treasures are to be found in the rich earth, with light abounding and in which our spirits soar.